Apartment with 55m²: 1 double bedroom, living room with double sofa bed, kitchen with dining area, shower and toilet. 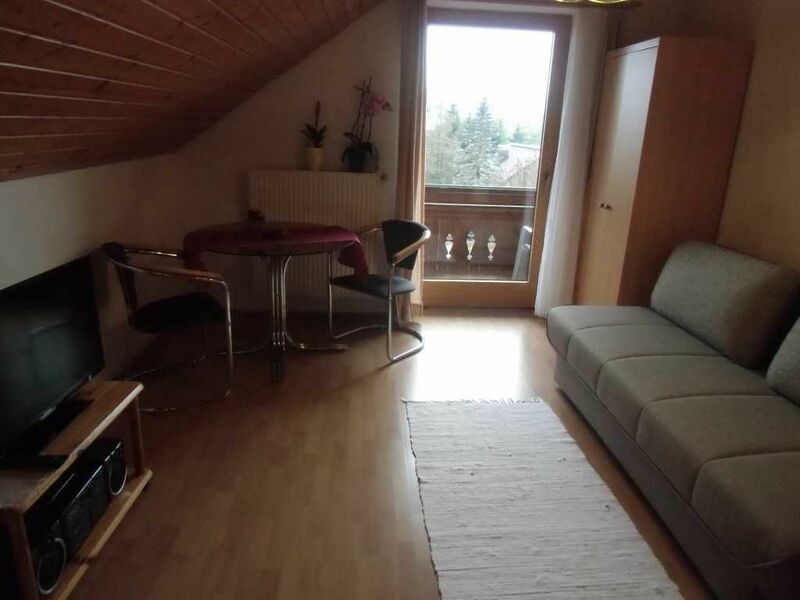 Living room (satellite TV, radio) and a covered balcony with stunning mountain and lake views. To make you feel comfortable with us we also offer bicycles, barbecue, daily. Bread roll service and washing machine use. Welcome to Haus Assinger!Our private house with 2 apartments is very popular with guests especially because of the sunny location and close proximity to the lake (2 minutes walk). The apartments (each 47-55 m2) are equipped with bedroom, living room with satellite TV and radio, fully equipped kitchen, shower / WC, balcony (apartment 1) with mountain views. To make you feel comfortable with us we also offer bicycles, barbecue, daily. Bread roll service and washing machine use. The little guests will find fun and games on our playground. Lots of greenery, lots of sun and lots of activities in an intact nature around the Presseggersee, one of the warmest bathing lakes in Austria, with drinking water quality.